We preview this years annual Craft Lake City DIY Festival with the first of two episodes. This week, Big Wild Wings drop by the studio, followed by music from Bullets & Belles. In this episode, we’ll have the first of our two Craft Lake City preview episodes—with music from Big Wild Wings and Bullets & Belles who will be performing this year at the festival. 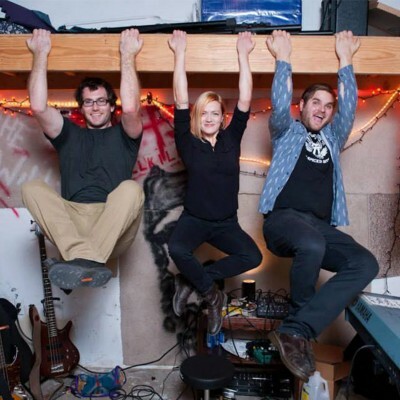 Big Wild Wings are an alternative trio from Salt Lake City and are composed of Lyndsi Austin on bass and vocals, Tyler Hummel on keys and Chris Soper on drums. Big Wild Wings started in the spring of 2012, with Austin and Hummel bouncing between bands and members while writing music. The group solidified in 2013 with Soper joined the group. In November 2014, the band released their debut album, Speaking In Cursive, earning radio play and reviews, as well as NPR recognition. We’re going to be chatting with the band later in the episode, but first we’re going to play a track off their debut album. This song is “So Far Away.” Listen to this episode of Soundwaves as SLUG Senior Staff Writer Gavin Sheehan sits down to talk with Big Wild Wings and Bullets & Belles about their music and upcoming performance at The Craft Lake City DIY Festival. Bullets & Belles are a local, three-piece doo-wop folk group currently composed of Ryan Cron on guitar and vocals, and Erin Haley and Noel Sandberg on vocals and percussion. Bullets & belles have been together since 2011 in various forms, releasing several EPs, singles and full-length albums. In May 2015, they released their latest album, Ready. In this episode of Soundwaves, we sit down to talk with Bullets & Belles and play music from their 2015 album Ready, which they will be performing live songs from at The Craft Lake City DIY Festival. You can find more info on both these bands and a complete lineup of the music performers at the Craft Lake City website.